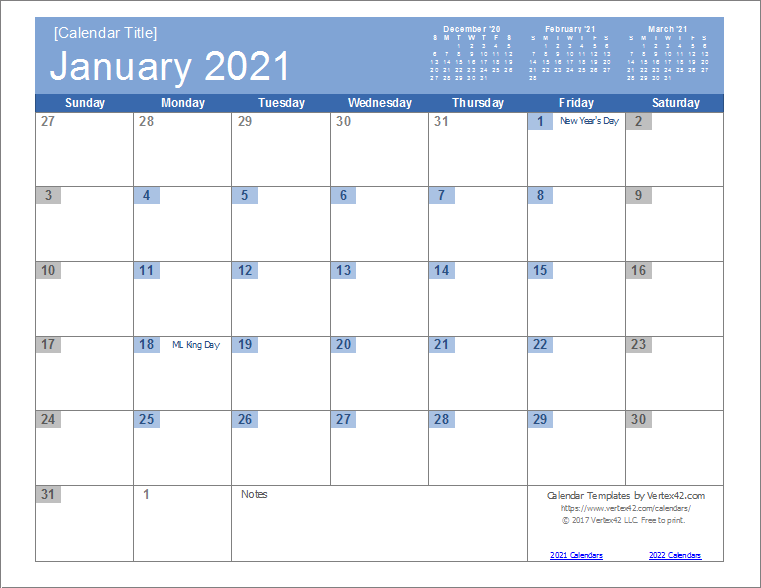 Edit and print your own calendars for 2021 using our collection of 2021 Calendar Templates for Excel. 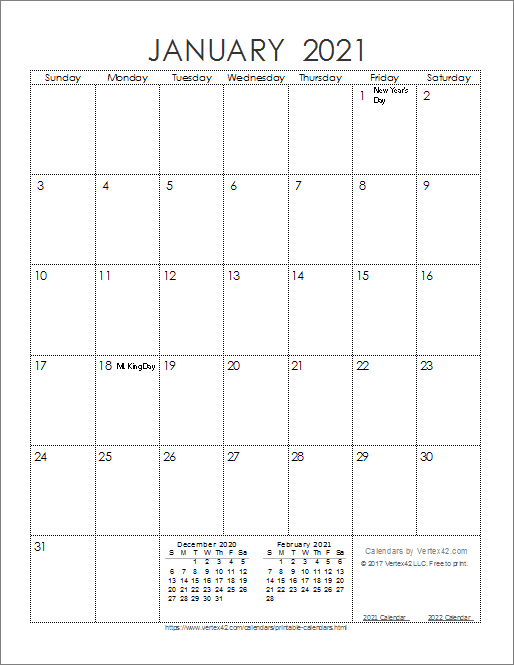 These calendars are great for family, clubs, and other organizations. 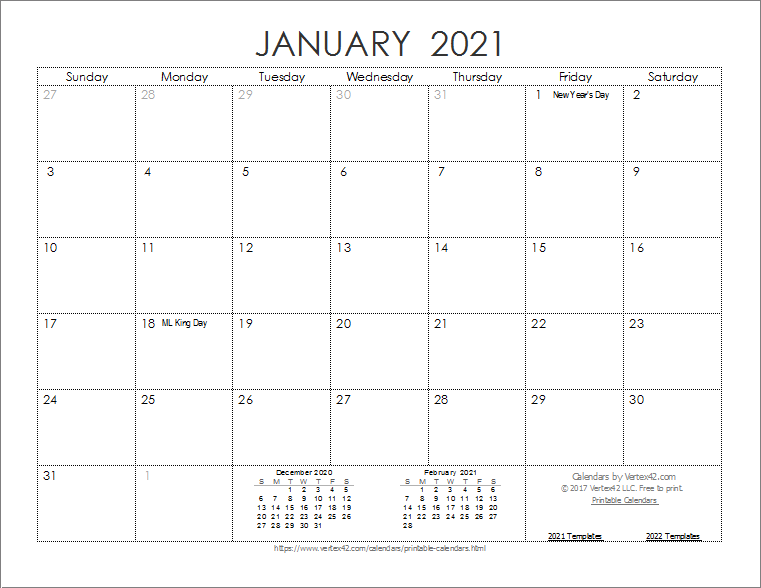 We also have some yearly 2021 calendar images that you can use in documents (with attribution). 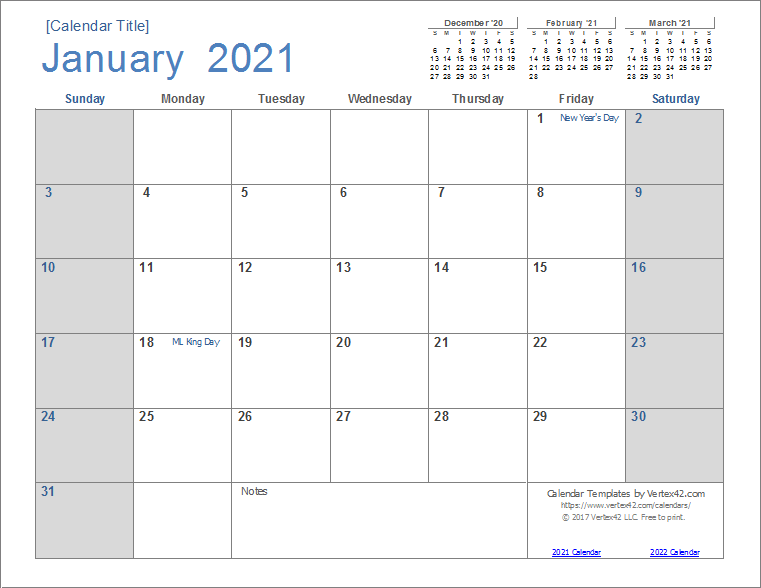 Some 2021 Holidays and religious observances are listed on the right for reference. 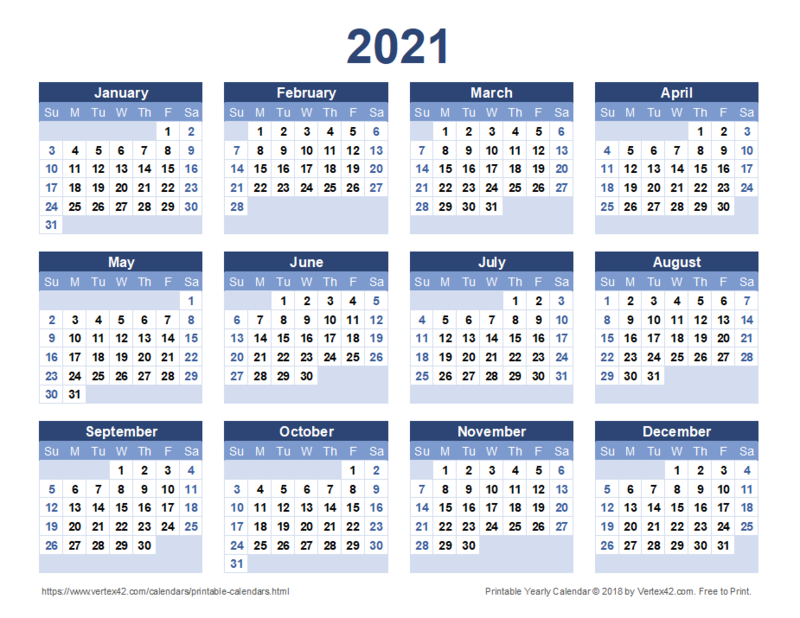 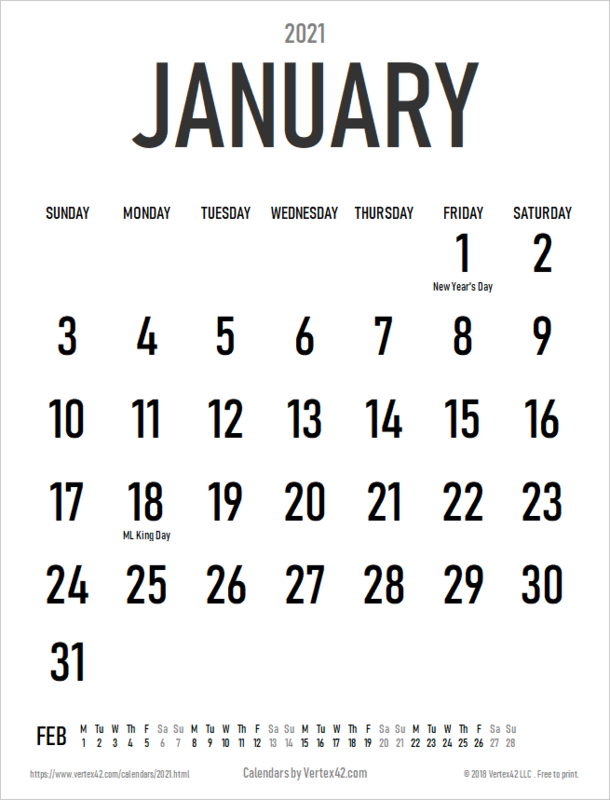 The yearly 2021 Calendar images below were made for you to use as clipart in brochures, reports, documents, and printed calendars. 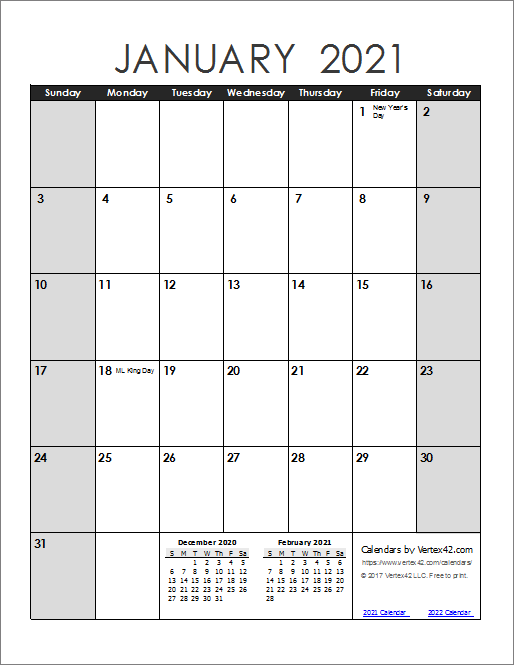 These images are copyrighted, but you may use them if you include a reference link back to this page, like the example below. 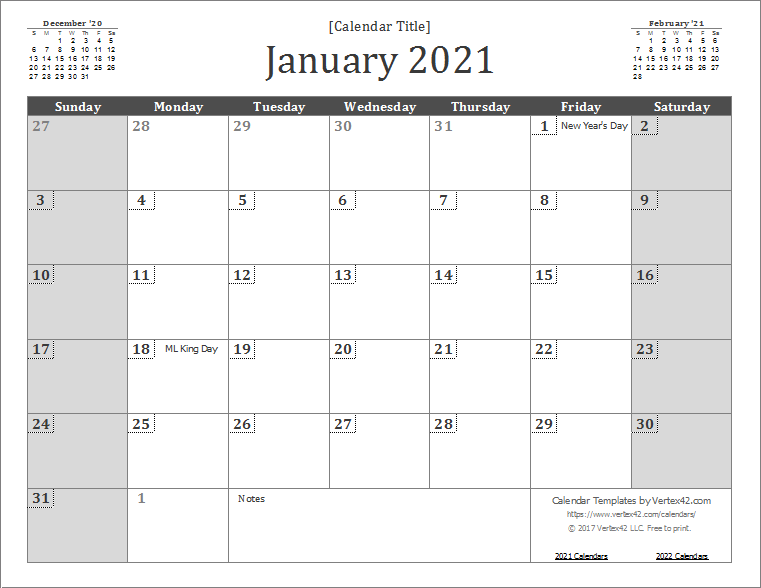 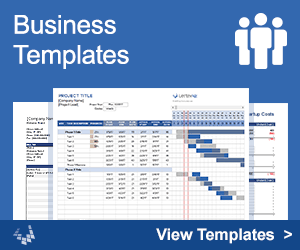 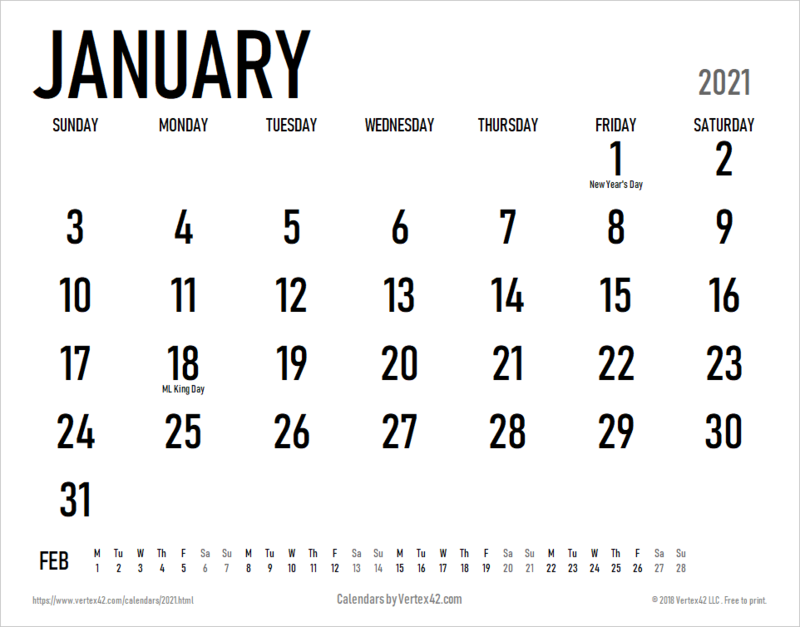 2021 Yearly Calendar Template - You can create your own 2021 calendar using these templates.